Are you a grammar fanatic? That’s a question that most people would probably say no to. Not very many people consider grammar to be one of their hobbies. However, grammar is essential to good communication. If you write unclearly, you communicate poorly. Grammar helps you write clearly. So, in order to communicate at a high level, you must learn grammar or at least use good grammar checker. Not sure where to start improving? 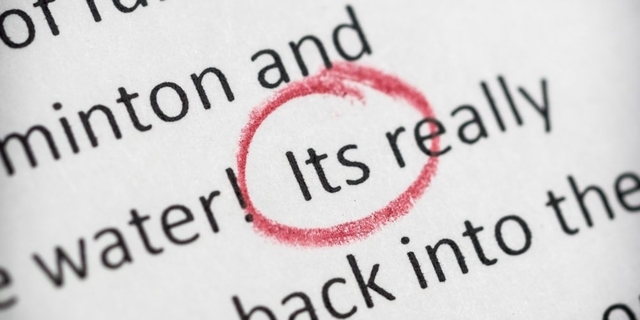 These grammar mistakes are among the most common that even well-read people make. But though they’re common, you shouldn’t make them yourself. Do your best to avoid them in your writing now that you are aware of them. Their/they’re, your/you’re, its/it’s: Many people get confused about possessives vs contractions. Here’s a quick way to remember which is right. When you use an apostrophe in a pronoun, it stands for missing letters, so if there’s an ‘, substitute is/are afterward. For instance, “they’re jewelry” doesn’t make sense because “They are jewelry” is almost certainly not what you meant! Dangling modifier: “I killed the man with the knife”. Who has the knife? These modifiers make it unclear what’s going on in the sentence, so avoid them. Possessive nouns: If a dog has the bone, it’s the dog’s bone. If two dogs have the bone, it’s the dogs’ bone. If Severus has the bone, it’s Severus’s or Severus’ bone. This quick pattern will help you remember. Affect/effect: Affect is the verb; effect is the noun. Just like a comes before e in the alphabet, the act of affecting comes before the result that is the effect. Me/I: Me and I fox many competent grammarians in constructions like “Jane and I”. Tip: remove the name or other person. Would you use ‘I’ or ‘me’? Go with that one. For instance, “Jane and me went to the movies” is wrong because you’d never say “me went to the movies”. Then/Than: Than is comparative. “I think he’s taller than me.” By contrast, then is temporal. “We went to the park, and then we went to go get ice cream”. Commas: Commas are a deep and wide-ranging issue all their own. We could make a separate list of rules for them. But to be general, you use commas to join items in a list and to connect inessential pieces of a sentence to essential ones. For instance, introductory phrases (like for instance!) get connected to sentences with commas. Trying to avoid these mistakes? Consider using a spelling and grammar checker. Reading these rules is helpful, but can only do so much for you. What you need to be able to do is learn how to detect your tendencies and the mistakes you make. A grammar checker can help you do that. Once you get an idea of your own common mistakes, you’ll be able to edit your own work better. Plus, when you’re using words you’re not sure about, you’ll have an easy way to check them. The importance of grammar means that it’s a good idea to get help. If you explore the rest of our website, you’ll see that we can assist you in many areas of grammar with our Oxford grammar checker. No matter where you’re struggling, you deserve assistance. Don’t wait to get it! To avoid making the most common grammar errors, then our online tool is exactly what you need today!